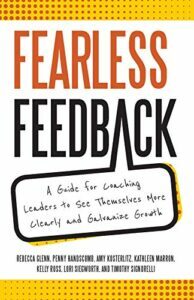 Tim Signorelli, of Balancia LLC and member at Park OffiCenter, teamed up with six other Master Coaches to create: Fearless Feedback, a guide for Coaching Leaders to see themselves more clearly and galvanize growth. Their book provides: A practical seven-step framework on how to structure stakeholder feedback for leaders; An actionable guide with specific dos and don'ts; Intriguing dialogue between coach, leader and stakeholder (articulating the unspoken thoughts and underlying emotions); and Tested tips, techniques, tools and templates. Get your copy NOW!